The SpaceX and Tesla CEO tweeted that The Boring Company’s new plan will be for the Hyperloop to prioritise pedestrians and cyclists over cars. Though the gargantuan and complicated concept intends to link US areas as far as New York and Washington, the project has actually received approval to start digging tunnels in D.C. In a series of tweets on Friday, Musk said that the shift in approach is a "matter of courtesy and fairness" and that the network won't move cars until it is packed with train car-style pods. Rather than an Underground-style approach with stations, he also said the urban loop system will "have 1000's of small stations the size of a single parking space that takes you very close to your destination and blend seamlessly into the fabric of a city." 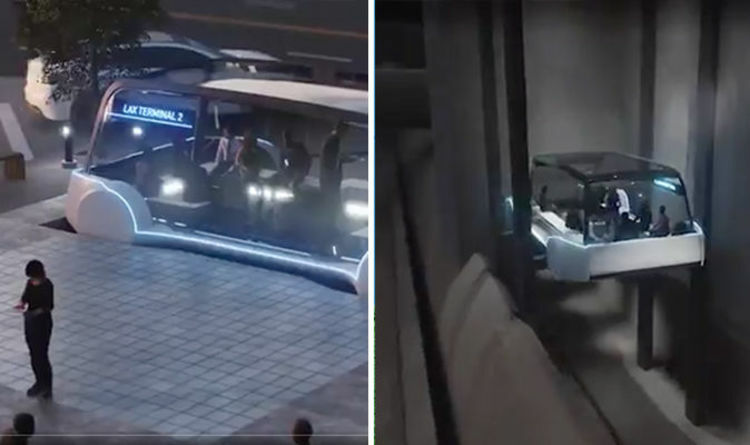 When another Twitter user challenged the idea as an “underground bus”, Musk replied: "I guess you could say it's a [240km/h], underground, autonomous, electric bus that automatically switches between tunnels and lifts. Musk said public transport was "painful" last year and was derided by transit advocates as a billionaire looking for a private travel infrastructure for rich people. Though the idea is now more egalitarian, it has also come up against criticism for the difficult process it would be to create and handle a system to move small groups of people to precise locations over more people to fewer stops, faster. The Hyperloop and urban loop concept relies on the Boring Company's tunnel-digging technology being faster and cheaper than current engineering practices. With potentially thousands of more tracks, stations, and - as their latest video suggests - hydraulic platforms. The Boring Company posted a concept video last year that showed cars entering tunnels on skates, where they hurtled 130 mph toward their destination. After the announcement, Musk polled his followers on the idea asking whether it was an “impossible pipedream” or a “stupid hole in ground”. 62 per cent of people said both.